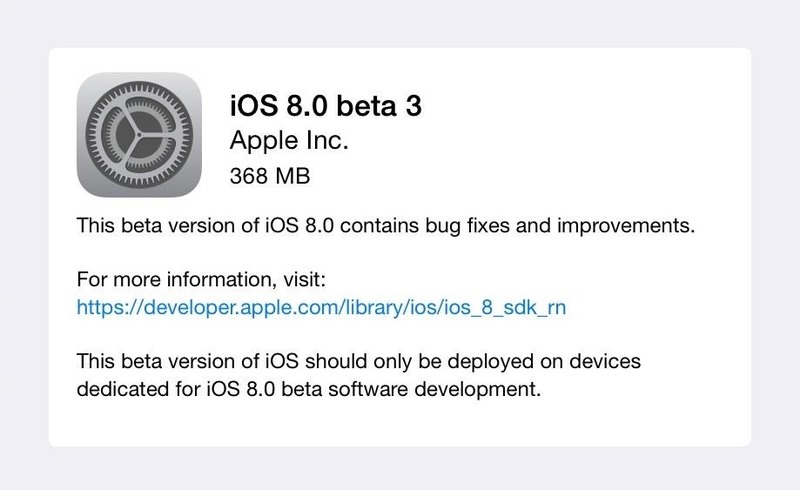 The newest version of iOS 8 beta is now out. Almost three weeks ago, in the iOS 8 beta 2 release, we saw podcast integration, full-screen caller ID, new assistive touch toggles, and a "disable all" button for app notifications, among other things. Now, in iOS 8 beta 3, we've got new features and options for iCloud, QuickType, Photos, and more. Scroll down below for more details on Apple's latest update to their upcoming iOS 8 for iPad and iPhone. iCloud Drive, which allows you to share files from all of your compatible Apple devices in real time, now has a setup screen on iOS 8. 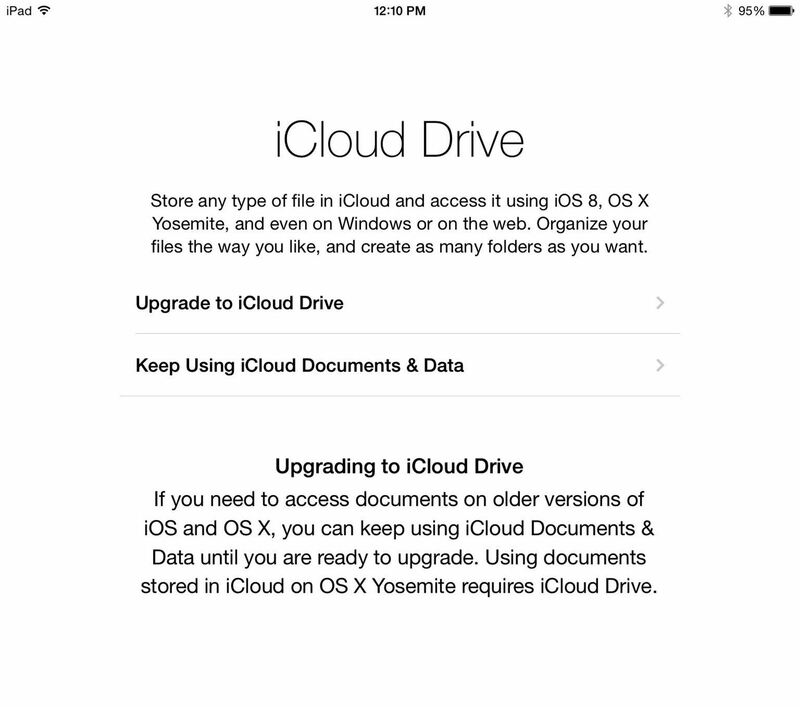 As an upgrade to iCloud, iCloud Drive allows for seamless photo, video, document, and other file interactions. Create a drawing at home on your MacBook Pro and finish it on your iPad. 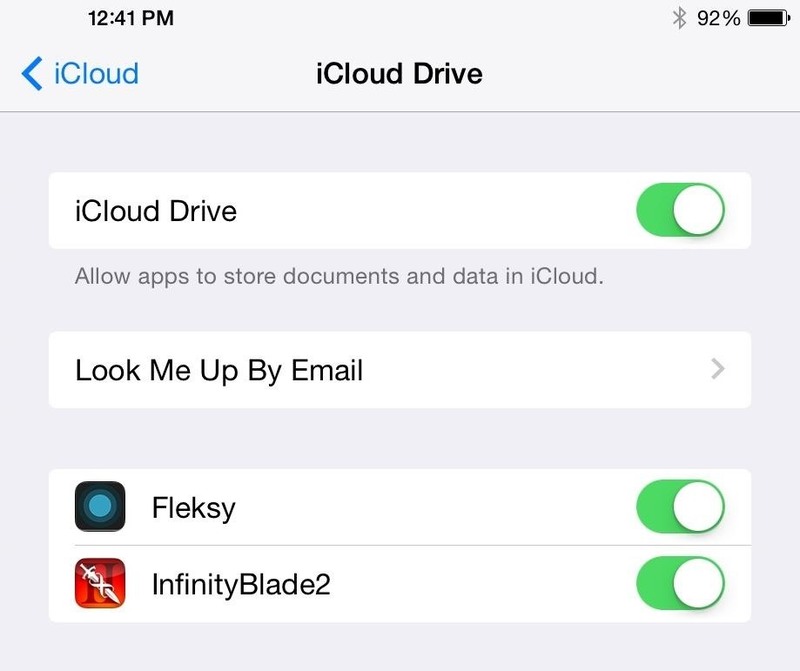 To manage your iCloud Drive, go to Settings -> iCloud -> iCloud Drive. Probably the biggest gripe with the first two beta versions of iOS 8 was the frequent and persistent app crashes for apps that utilize embedded mobile Safari for rendering. Chrome, LastPass, and banking apps were just a few that were simply unusable, but those bugs seemed to have been worked out, making iOS 8 a solid choice as a daily driver for most of us. In Settings -> General, an Enable Handoff feature is now available, allowing for more seamless transferring of tasks between your iOS devices and OS X computers. Handoff is part of a larger feature called "Continuity", which is Apple's push towards seamless cross-platform integration. 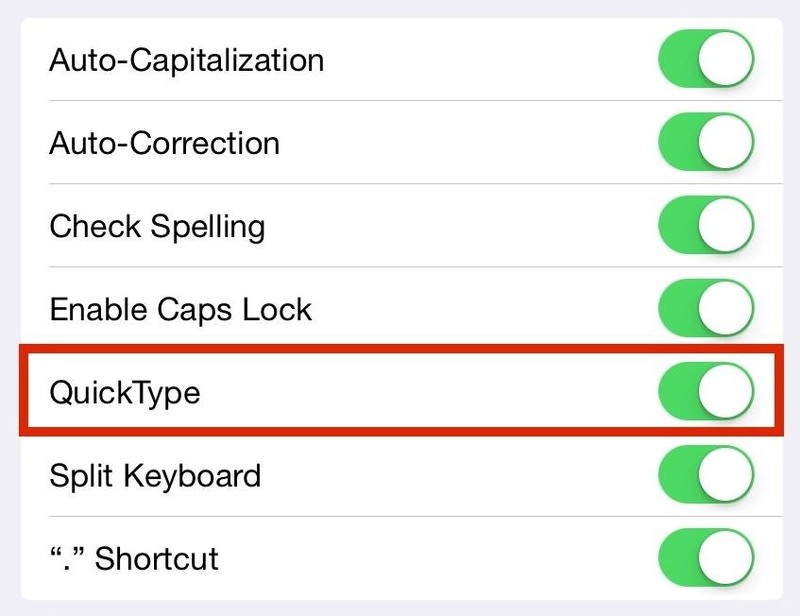 QuickType, the predictive text feature added to iOS 8, can now be turned off, which was unavailbale in previous versions. Head to Settings -> General -> Keyboard and turn off QuickType. Find My iPhone, the phone tracking app, and Find My Friends, which locates nearby friends and family, have both been updated. Find My iPhone now supports Family Sharing, while Find My Friends now works with iOS 8 and allows users to move their friends list to iCloud. 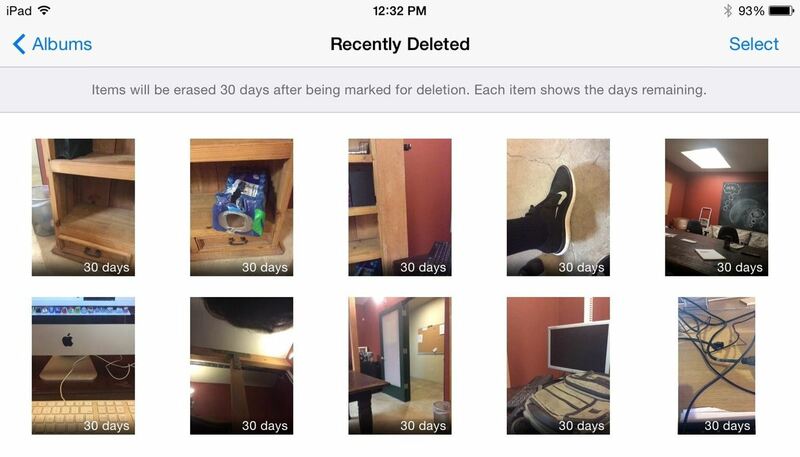 The addition of the "Recently Deleted" photo album gave us a way to recover photos that we deleted. Now there's a new indicator that appears on every picture in that album, showing the amount of time left before the pictures are permanently deleted from the device (30 days is the default timeframe). Similar to Snapchat, Apple introduced several new features in the Messages app, including one that automatically deleted audio and video messages after a short period of time. In this version of iOS 8, you can go to Settings -> Messages and enable Automatically Keep in order to automatically keep audio and video messages in Messages. While it isn't a night-and-day difference, the Notification Center now has a couple of UI changes: the Clear button is now enclosed in an oval, and when you swipe a notification to the left, it now shows an X button instead of Dismiss. "Shared Photo Streams" has been renamed "Shared Album"
Have you taken beta 3 for a spin yet? Let us know what you find in the comments below. Home button position in assistive touch has been moved to its original logical position.